of different types of stake shanks. damage the face of the stake. 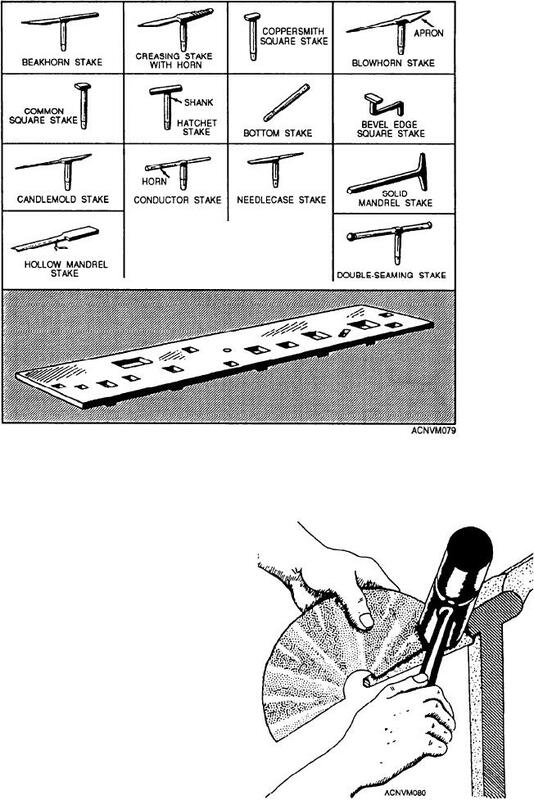 shows the forming of a bail (or handle) on a stake. Figure 12-80.--Malleting a cone on a blowhorn stake.